Sugar shack season is almost here. Between the months of March and April, the snow is still on the ground, but it’s warm during the day. It is during this time that maple sap is harvested and concentrated to give us that delicious product called maple syrup. So let’s make the most of spring and go visit our maple groves to stock up on the syrup. 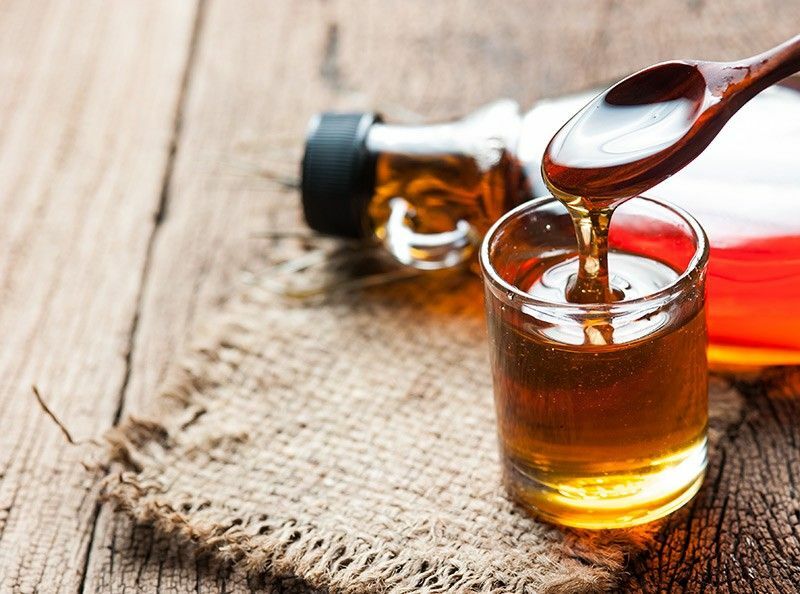 Did you know, that apart from being so mouthwatering, maple syrup is also good for your health? Recent studies have shown that it is an important source of phenol compounds as well as other potentially antioxidant and anti-inflammatory substances. It is a sweetening agent that has fewer calories than honey, sugar and brown sugar, maple syrup also contains many essential minerals such as manganese, calcium, potassium, iron, zinc and magnesium. So, this is my advice to you: don’t just limit yourself to drizzling this syrup over your omelettes, ham and pig’s ears; use it also to season your vinaigrettes, sauces and marinades. In fact, it can even add a slightly sweet touch to certain dishes, like Maple-glazed Chicken and Sweet Potatoes. Originally published in the Journal de Montréal on February 28, 2008.